You know you'll never come away from watching an episode of The Accused feeling happy and lark-some, but the relentlessly grim 60 minutes of drama it offers always seems to be as gripping as it is bleak, so you don't mind so much the feeling of having been beaten to a gibbering wreck come the start of the Ten O'Clock news. Nestling, as it does, somewhere in between the greyness of tragedy and the blackness of misery, episode three of this series (the second) follows the downward spiral of 17-year-old Stephen after the death of his mother to cancer. We learn via flashback that he's had mental health problems before, but his suspicions that his mother's nurse, Charlotte, hastened her death in order to bag Stephen's father trigger further problems. What you get, more or less, is a Jimmy McGovern-take on idea of the wicked stepmother, shot in a freezing-looking Stalybridge, Lancashire, with mental health issues for added dramatic grit, and a serious turn from stand-up comic John Bishop, playing Stephen's dad and who can't quite cope with his son and lets himself be ruled by Charlotte. And no, he doesn't do any jokes. 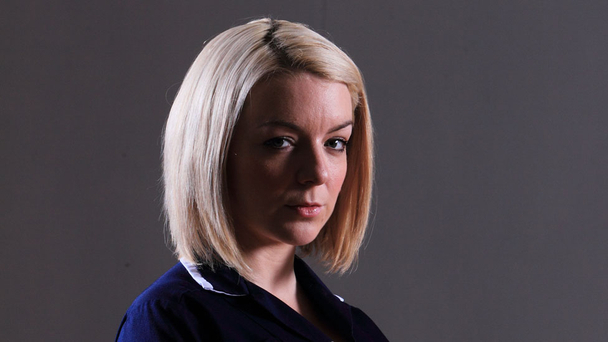 Sheridan Smith as Charlotte: "oddly rational all the time"
For the most part, it works - but as Stephen's fears grow, as his brother becomes sick, the family dog dies, and he sees former Tony Blair spin-doctor and mental health advocate Alastair Campbell talking to him through the television about how Charlotte can't be trusted, no-one believes what Stephen's saying - but also it's not really clear who's right and who's wrong. 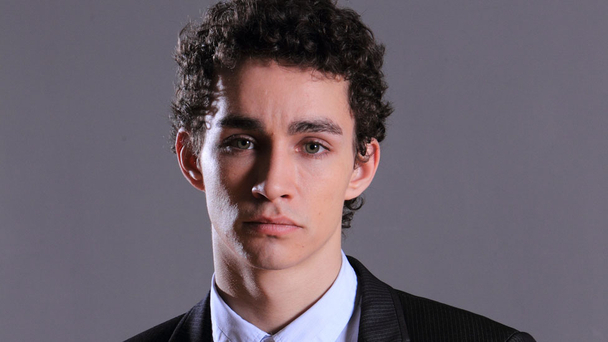 Robert Sheehan, who plays Stephen, says he was aiming for that ambiguity: “The trauma of his mother's death and the continued presence of Charlotte send him into a spiral of paranoia and delusion, but what is intriguing is that his delusions are ambiguous. You don't know how much of what Stephen is experiencing and believing is actually true and how much is made up. “I watched tons of material about people who suffer from acute schizophrenia, paranoia and delusion, to get a sense of how intensely these disorders can affect people’s minds. The effects are quite terrifying. But I wanted to keep Stephen very much based in reality, not in fantasy." 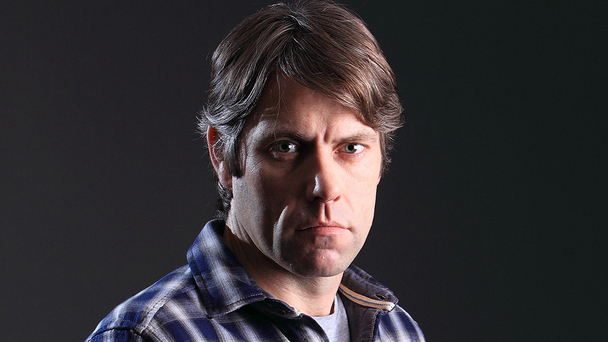 As Stephen's behaviour worsens, his symptoms escalate, which lead him to stab Charlotte following an aggressive confrontation about the poor health of his brother. If anything, it's the mental health issue that almost gets a bit in the way here, dramatically speaking. Yes it's always a serious issue worth addressing in drama, but it's also the reason why no-one listens to his fears because they're expressed so irrationally - as if mental health prevents them from ever being rational or non-violent. He has, after all, just suffered a major bereavement, and he also says he's been smoking a lot of cannabis - both aren't going to help even the clearest of minds, and take the mental health theme away and you've got - what? A far more straightforward family drama. Still brilliant, still gripping, but more straightforward. Of course, Stephen's condition is also a useful tool to show how we respond to people with these conditions in real life, and the policeman who just dismisses Stephen's accusations, and then later his threat to kill Charlotte, seems a little odd - a threat is a threat, and wouldn't you pay even more attention, not less, if it had been said by someone with mental health problems? Guess that must be that ambiguity again - Sheridan Smith, who plays Charlotte says: "Throughout the drama you’re never sure whether Stephen is projecting ulterior motives on to her because his state of mind is disintegrating and he’s suffering from paranoid delusions. “There will be moments when you think Charlotte’s dodgy. And, there’ll be other times when you think his pain and grief have made him lose his grip on reality. As we watch Stephen unravel, and come to realise that John Bishop really won't be cracking any gags, it seems pretty clear that Charlotte is the bad 'un and that Stephen is on to something. And the thing is - once Stephen's been sentenced and sent down, after refusing a mental health assessment - it looks like he had been right all along. The final scene sees Charlotte visit him in prison - how she got permission to visit given Stephen's previous accusations is not addressed - but his brother and father aren't with her, because, she says, they're both 'not well'.